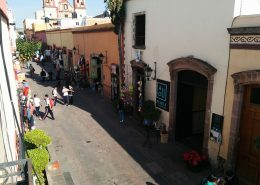 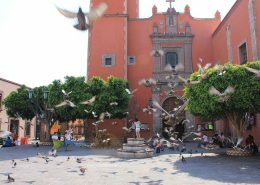 Santiago de Querétaro is the official name of the capital of the state of Querétaro. 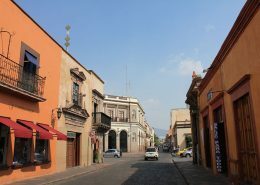 The Historic Center of Queretaro (Céntro Historico) is quite remarkable in maintaining the old colonial architecture and street plan side by side with the twisting alleys of Indian quarters. 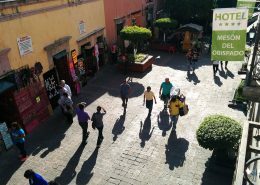 All this history is peppered with modern hotels, shops, and restaurants. 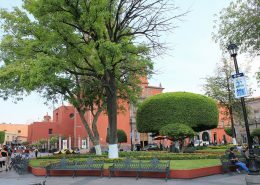 The Otomi, the Tarasco, the Chichimeca and the Spanish settlers lived together harmoniously in the town, which stands out for the many ornate civil and religious Baroque monuments from its golden age in the 17th and 18th centuries.